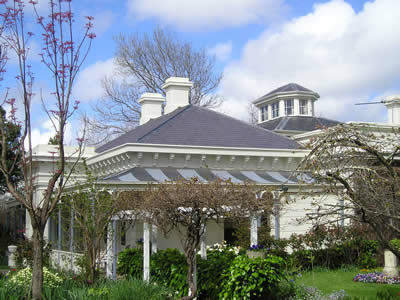 Murnane Slate Roofing is the respected and reliable slate roofing specialists that Melbourne trusts. We are here to provide Melbourne with the best slate roofing products and services, and through our experiences and success, we have established ourselves as a leader in the industry. If you want to know how we have achieved our success, read our history and commitments below. In 1966, John Murnane started the successful company you see today. His passion and dedication in supplying only the highest quality slate materials and craftsmanship have seen Murnane Slate Roofing’s success continue for the past 40 years. Our skills, passions and dedications have been continued from generation to generation, thereby ensuring that our high-level standards are maintained. For experience, coupled with quality, we are for you. We have been providing Melbourne homes and properties with the highest quality slate roofing services since we began our services in Ballarat. We have expanded our operations across the region so that everyone has the opportunity to get a top quality slate roof for their property. It doesn’t matter where you live in Melbourne, we will commit to helping you with your slate roofing needs. Our services, coupled with our high-quality products, means that we create slate roofs that are durable to last through all of Melbourne’s wild changing weather. We have constantly achieved these high results thanks to our commitment to our suppliers and the high quality of our materials. We source slate tiles from across Australia, as well as around the world, including Canada, the United States and Wales. We have always taken pride in our products, so you can be sure that with our huge inventory of slates, you’ll get the ones that will transform your property. To reach out and speak to one of our friendly staff members, contact us directly on (03) 5339 3569 or on 0408 508 414.